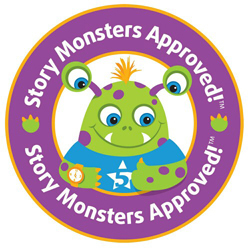 Story Monsters Ink: Five Star Publications, Inc. is now Story Monsters LLC. Same team — same quality services since 1985. Story Monsters Ink: Story Monsters Ink is home to the award-winning Story Monsters Ink® magazine, the literary resource for teachers, librarians, and parents — selected by School Library Journal as one of the best magazines for kid and teens.We also help authors of all genres strive for excellence through our marketing and publicity services, Dragonfly Book Awards contests, Story Monsters Approved! awards program, and opportunities to connect with schools and the media. You have come to the right place. A place to tell your story. Gardner’s Book Service: Gardner’s Book Service (GBS), a local, family-owned company, has provided books and educational materials to schools, libraries, educators, government agencies, and small retailers for the last 32 years. When GBS started in Phoenix in 1983, there wasn’t a local option for schools to purchase books. GBS now provides thousands of titles from over 1200 publishers. Our 8,000 sq. ft. warehouse is open 6 days a week for personal selection and our website is open 24 hours a day. With 25% normal teacher discount and 30-35% normal school discounts, Gardner’s consistently beats the large company prices. Let us quote your next book purchase and show you what GBS can do for you. As a local company, monies spent with us stay in our community. Support the businesses that support our community. Northern Gila County Historical Society: Our Mission is to Acquire and Preserve Artifacts and Writings related to the History and Culture of Northern Gila County for Exhibit and Research. First Things First: First Things First is committed to helping Arizona kids five and younger receive the quality education, healthcare and family support they need to arrive at school healthy and ready to succeed. The Dolly Parton Imagination Library – Provides monthly books for children Birth to Five. Gila County Libraries: Payson, Tonto Basin and Pine locations serving Rim Country. International Dyslexia Association, Arizona Branch: Formed in 1984, the Arizona Branch of the IDA was organized to share the dedication of its members to educate the public about the specific learning disability, Dyslexia. It is a very active non-profit organization with diverse membership. Our state branch provides up-to-date information regarding dyslexia and literacy research, local service providers, training opportunities, and other events. Read On: Read On Arizona is a statewide, public/private partnership of agencies, philanthropic organizations, and community stakeholders committed to creating an effective continuum of services to improve language and literacy outcomes for Arizona’s children from birth through age eight over the next ten years. Read On Arizona is committed to helping create an early literacy system that delivers the right program at the right time for every child. *Southwest Human Development: SHD is Arizona’s largest nonprofit dedicated to early childhood development. Since our founding in 1981, Southwest Human Development has been a leader in providing services for children ages birth to 5 and their families in the areas of: Child Development and Mental Health, Easter Seals Disabilities Services, Early Literacy and Head Start, Child Welfare, Professional Education and Training. Through our literacy programs (and all our programs) we provide parent and caregiver education and early childhood literacy skills to ensure that children have the tools they need for school success. Throughout Arizona we give away over 100,000 children’s books each year. We will have informational resources on our services at our exhibit table. We will also be selling a children’s book we published with the giving model “When you buy one and we will donate a book to a child in need.” The author of the book Phoebe Fox will be there to sign books at our table. Town of Payson Parks, Recreation & Tourism: The Town of Payson Parks, Recreation & Tourism department maintains parks and facilities, provides recreational program offerings to the community, produces special events for the public and visitors, along with promoting the Town of Payson and our offerings as a tourist destination. Find out more about us or get involved at PaysonRimCountry.com.